The Travel Diaries of Otto Mündler 1855-1858 at the National Gallery, London. notes made in the 1850s on pictures seen in Italy whilst acting as agent for Sir Charles Eastlake. John Sunderland: John Hamilton Mortimer, 1740-1779. Gertrud Seidman: Nathaniel Marchant, Gem-Engraver, 1739-1816. Mary Edmond: Bury St Edmunds: A Seventeenth-Century Art Centre. Robert Raines: Notes on Egbert van Heemskerck and the English Taste for Genre. Francis Russell: The Derby Collection (1721-1735). Ellen Miles: A Notebook of Portrait Compositions by Thomas Bardwell. Mary Burkett: Christopher Steele, 1733-1767. Ilaria Bignamini: George Vertue, Art Historian and Art Institutions in London, 1689-1768. Sheila O'Connell: Lord Shaftesbury in Naples, 1711-13. Louise Lippincott: Arthur Pond's Journal of Receipts and Expenses, 1734-50. Trevor Brighton: William Peckitt's Commission Book, 1751-95. Arline Meyer: William Musgrave's `Lists of Portraits'. Kimerly Rorschach: Frederick, Prince of Wales (1707-51) as Collector and Patron. Nicola F. Figgis: The Roman Property of Frederick Augustus Hervey, 4th Earl of Bristol and Bishop of Derry (1730-1803). Patricia R. Andrew: Jacob More: Biography and a Checklist of Works. 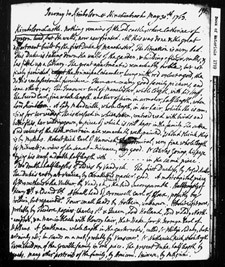 Alison Yarrington, Ilene D. Lieberman, Alex Potts and Malcolm Baker: The Ledger of Sir Francis Chantrey, R.A., at the Royal Academy, 1809-41. Morris Brownell: William Gilpin's Thames Tour, 1764. Kim Sloan and Paul Joyner: The J.R. Cozens album in the National Library of Wales. Kristine Edmondson-Haney and Michael Gullick: The Hungerford Psalter (Cambridge University Library, MS. Ee.4.33); a Twelfth Century Manuscript. Jacob Simon: James Northcote's Account Book, 1776-1830. Martin Postle: The Foundation of the Slade School of Fine Art; Fifty-eight Letters in the Record Office of U.C.L. Collection of Sir Brinsley Ford (1908-1999).